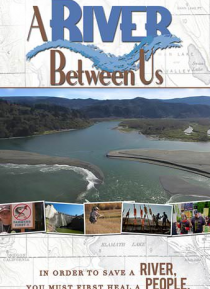 A River Between Us documents the largest river restoration project in American history. Nearly three hundred miles in length, the vast communities of the Klamath River have been feuding over its water for generations. Balancing the sheer beauty of the river's surface with its underlying ills of injustice and inequality, the film focuses on the personal stories of a group of individuals who finally… chose to put the past behind them and came together to create a historic water rights compromise.